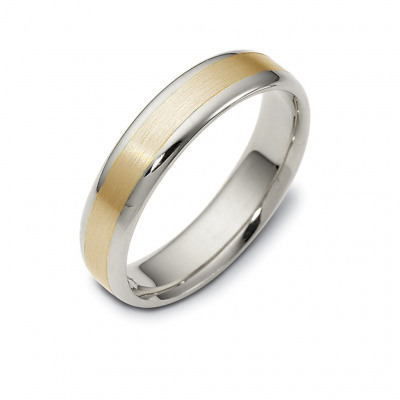 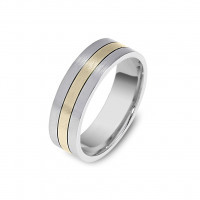 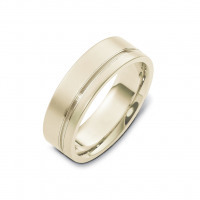 A twist on a classic wedding band, this contemporary update features a thick yellow or rose gold center band with a brushed finish surrounded by two slimmer high polish white gold bands. 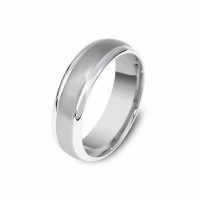 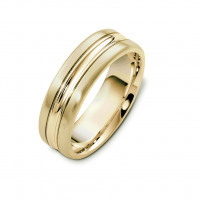 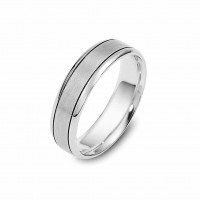 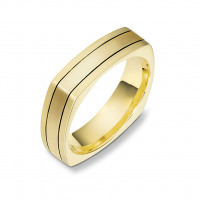 This comfort fit ring is available in whole mm widths from 5 mm to 10 mm and in 10 kt, 14 kt, or 18 kt gold. Please use our filter to find your perfect combination, or contact us if you cannot find what you're looking for.